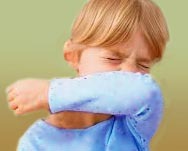 It is terrible to see your children suffer with seasonal allergies. They wake up with swollen eyes and have constantly dripping, raw, red noses. They are tired and irritable and have no idea why they can’t play outside with their friends. My grandson knows he is supposed to stay inside, but he complains that he must have recess out side everyday and on nice warm days his class also eats their lunch outdoors. By the time he comes home from school he is miserable and irritable. That beautiful yellow-green dust that covers everything outside is very nasty stuff for some children. Here are 6 things you can do to make your child more comfortable during allergy season. 1. Pollen counts are highest in the morning. avoid letting your children outside at that time of day. The safest time for outdoor play is right after a heavy rain storm, when all the pollen has been knocked out of the air and is still damp. The worse time is early on a sunny windy day. 2. Children’s hair should be covered when outside, it collects a lot of pollen. When anyone in your family comes in from being outside, they should change their clothes and wash all exposed skin. Hair coverings are best left near the door or in your garage. If you do not use hair coverings, brush hair throughly before coming into your home. 3. Children should bathe or shower and wash their hair in the evening before bedtime. This removes all pollen from the hair and skin. You do not want their bed linens and pillows covered with pollen. 4. Your home should be kept free from pollen. Do not open doors and windows when weather is sunny and mild. Use your air conditioner to control temperature. 5. Outdoor pets carry pollen on their fur and can bring it into your house. When you touch your pet, the pollen can transfer onto your skin and clothes. A pet can also bring pollen into your house on its feet and fur. Brush your pets outside. Outdoor pets should not sleep in your child’s bed or even in their bedroom. 6. Since your child can not completely avoid going outside, there are many good allergy medications available over the counter and by prescription. Talk to your children’s pediatrician about what is best for them. Prescription anti-inflammatory eye drops and nasal sprays are very effective. Yes, Spring is near, but where I live it is still very much Winter. Tomorrow 10-12″ of snow is coming. Nevertheless I have seen signs of Spring in my yard. The trees are budding and the bulbs are popping their noses out of the cold soil. I have read in the local paper that juniper, maple and elm pollens are already here. Can allergies be close behind? When you have allergies, it doesn’t take much of the type of pollen you are sensitive to start you off sneezing with itching eyes and a runny nose. Most of these allergens are found outdoors, but if you let them in your home you will never find complete relief. 1. Keep your windows and doors closed on warm, dry, breezy, sunny days. Right after a storm, there is less pollen in the air, this is when you can safely open your windows. 2. Take your shoes off when you enter the house so you do not bring in allergens. 3. If you want to be outside, take a shower and wash your hair AFTER the walk to remove all the pollen you can. Also put your outdoor clothes in a plastic bag until they can be washed. NEVER go to bed with pollen on your clothes, skin or hair. 3. Install a HEPA filter on your air-conditioning units and air purifiers. 4. A Neti Pot can be used to rinse out your sinus passages and cavities. This can help reduce symtoms. 5. Try using a 24 hour antihistamine that can be obtained over the counter. Charitin, Alegra, or Zyrtec. If none of these work for you, see your primary care physician or allergist for further treatment. The air quality alert is at dangerous levels for allergy sufferers. 1500 is the high limit, the other day we were at 1600. What is going on, I have never seen Spring come so early. Where I live we had 4 inches of snow last year at this time. This year we are having highs in the 80’s. Seasonal allergies occurs when tree, grass, weeds or flower pollen in the air comes in contact with nose membranes and it triggers inflammation, causing sneezing, itchy eyes, congestion, runny nose and cough. You can reduce or even eliminate allergy symptoms gently and naturally by reducing contact with the allergens and building up your immune systems. 1. Keep windows and doors closed to reduce allergens in the air in your home. Air conditioning can keep the air pollen free and make allergy sufferers feel better in warm weather. 2. Wash exposed skin, hair and clothing after exposure to pollens. Never send an allergy prone child to bed after playing outside, without bathing and changing their clothes. The pollen on their skin will and hair will contaminate their bedding and cause distress at night. 3. Use HEPA filters in a air purifier in bedrooms to remove pollen and dust from the air. 4. Clean out nasal passages. You can use a saline spray or a net pot with saline to help reduce contact with pollen and reduce allergy symptoms in the nasal passages. 5. Eat anti-inflammatory foods and eliminate foods that cause problems. Foods such as dairy and wheat can cause mucus to form and cause more inflammation. Add antioxidant foods to your diet, such as: tomatoes, nuts, fish, oranges, apples, and berries. These foods fight free-radical cell damage which can interfere with your immune system. 6. Drink herbal tea to soothe the throat and nasal passages. Green tea is also very good to strengthen the immune system, though it does have a small amount of caffeine. Will the 2011 Allergy Season be Worse Than 2010? 2010 and 2011 were ugly years for allergy sufferers, there was unseasonably warm weather and breezes throughout March and April which pumped up record pollen counts for oak, ash and mulberry. Flooding in the Spring and early Summer, then the dry summer in the Southwest with fires and extreme weather and flooding from hurricanes in the Southeast and East. People who never get allergies are suffering for the first time in 2010 and 2011. The extremely wet weather causes more growth in the plants putting out pollen. Each tree actively puts out pollen for about 3 days in a normal year. The season lasts for 4 months because each type of tree pollinates at a different time. A great place to find pollen counts for your area is www.pollen.com. This Spring the pollen count for my area was high in Elm, Juniper and Maple. Don’t forget mold which is huge through the Spring and Summer and into the early Fall. because of the rain and flooding and the extremely humid conditions. Each area of the U.S. will have different plants pollinating at different times, so it is important to check for your area. Those who have been effected by the flooding should be very careful of toxic mold. A professional should examine your home before you spend any time inside. 6 ways you can reduce exposure to pollen and find relief? 1. Keep your home’s doors and windows closed. You can’t completely seal off your home from the outside, but keeping doors and windows closed can help prevent pollens and outdoor molds from entering. When the weather turns nice in the spring and you’re tempted to open windows to let in “fresh” air, it may be better to keep them closed and turn on your air conditioner. 2. Limit outdoor activity, particularly in the morning. Avoid being outdoors especially to exercise when pollen counts are high, or on windy days when pollen and molds are being blown about. In general, pollen counts are highest in the morning, usually from about 5 a.m. to 10 a.m. Also limit outdoor chores like grass cutting, when pollen counts are the highest. 3. When traveling by car, keep the windows up. Closing your car windows helps keep out pollens, dust and mold. 4. After being outside, take a shower and change your clothing. Pollen can collect on clothing and in your hair, so when you’ve been outside for any significant amount of time, shower and change into fresh clothes as soon as you get home. Try not to transfer the pollen from your clothes to soft surfaces in your home, like sofas, beds and carpets. Don’t hang your laundry outside to dry during heavy pollen season because pollen sticks to the towels and sheets. 5. Lastly, I believe that the use of a Neti pot to clear the nasal passages of irritants works miracles. This type of device has been used for many years to irrigate and clean out nasal passages and sinuses. If your nose is completely blocked, the neti pot is NOT the best solution. Unblock your nose first. The neti pot will clear out irritants that are causing the swelling, but must be used on a mostly cleared nose. I use the NeilMed Sinus Rinse Regular Kit my daughter swears by the Neti Pot Nasal Wash / Sinus Irrigation Beginner Kit by Nasopure . I think they all work on the same principle. 6. When you’ve tried all you can on your own and you still can’t find relief, then it’s time to see your doctor. There are some very good antihistamines on the market today that can bring some level of comfort to most people. Now second-generation antihistamines such as Loratadine (Claritin), cetirizine (Zyrtec), desloratadine (Clarinex), and fexofenadine (Allegra) are less likely to cause adverse effects like drowsiness or dry mouth. Several antihistamine nasal sprays like azelastine [Astelin]) are also available to treat symptoms such as runny nose, sneezing, and itchy nose. There are over the counter eye drops available for itchy eyes, Bausch & Lomb Alaway Antihistamine Eye Drops is one. 1. I hate to make the first suggestion a drug, but antihistamines work so well for allergies it would be wrong not to mention what’s available. Many antihistamine drugs are available without a prescription. Years ago the only antihistamines available made us sleepy and fuzzy. Now second-generation antihistamines such as loratadine (Claritin), cetirizine (Zyrtec), desloratadine (Clarinex), and fexofenadine (Allegra) are less likely to cause adverse effects like drowsiness or dry mouth. Several antihistamine nasal sprays like azelastine [Astelin]) are also available to treat symptoms such as runny nose, sneezing, and itchy nose. There are also over the counter meds. available for allergy itchy eyes. One such eye drop is Alaway by Bausch & Lomb. 2. Keep your home’s doors and windows closed. You can’t completely seal off your home from the outside, but keeping doors and windows closed can help prevent pollens and outdoor molds from entering. When the weather turns nice in the spring and you’re tempted to open windows to let in “fresh” air, it may be better to keep them closed and turn on your air conditioner. 3. Limit outdoor activity, particularly in the morning. Avoid being outdoors especially to exercise when pollen counts are high, or on windy days when pollen and molds are being blown about. In general, pollen counts are highest in the morning, usually from about 5 a.m. to 10 a.m. Also limit outdoor chores like grass cutting, when pollen counts are the highest. 4. When traveling by car, keep the windows up. Closing your car windows helps keep out pollens, dust and mold. 5. After being outside, take a shower and change clothes. Pollen can collect on clothes and in your hair, so when you’ve been outside for any significant amount of time, shower and change into fresh clothes as soon as you get home. Try not to transfer the pollen from your clothes to soft surfaces in your home, like sofas, beds and carpets. Don’t hang your laundry outside to dry during heavy pollen season because pollen sticks to the towels and sheets. 6. Lastly, I believe that the use of a Neti pot to clear the nasal passages of irritants works miracles. This type of device has been used for many years to irrigate and clean out nasal passages and sinuses. If your nose is completely blocked, the neti pot is NOT the best solution. Unblock your nose first. The neti pot will clear out irritants that are causing the swelling, but must be used on a mostly cleared nose. I use the NeilMed Sinus Rinse Regular Kit my daughter swears by the Neti Pot Nasal Wash / Sinus Irrigation Beginner Kit by Nasopure. I think they all work on the same principle. When you’ve tried all you can on your own and you still can’t find relief, then it’s time to see your doctor. Seasonal Allergies because of pollen.